Jake prepares to come in the back door. 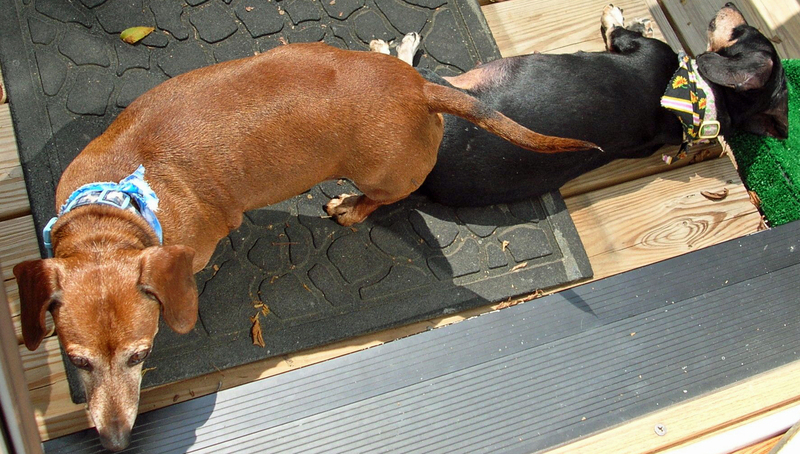 Windy, however, wants longer to work on her tan. The furkids, while living in an air-conditioned house, don’t know that temperatures are in the 90s and the humidity is so heavy you could almost swim in the air. Hope argued with me yesterday. At mid-day she wanted a walk. I gently said, “No, not now. We will later.” This did not sit well with her. Her barking intensified. I never yell at Hope. I seldom correct her. I am so glad when she acts like a normal dog I cannot bring myself to lower my voice and bark out “No!” Her environment of living in an Amish puppy mill for five years deprived her of so much. I want her to explore her surroundings. Of everyone in the house, Windy hears that “No!” the most often. On the rare occasions Jake hears it, which is when he wants more treats than he should have, he acts like his feelings have been hurt and will go sulk in his bed. Hope finally settled down. We went for a walk at 9 p.m. And when we got home, she didn’t even say “Thank you”. 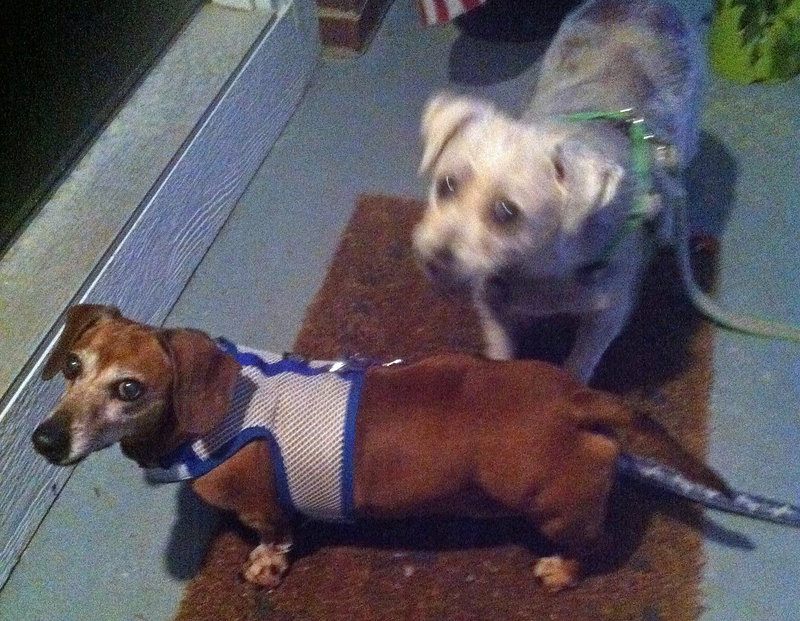 After their walk, Jake and Hope wait for the front door to be opened. This entry was posted in Dog Behavior, Puppy Mills, Schnauzers and tagged Amish, Dog Behavior, puppy mills, Schnauzers, Walking, Walks. Bookmark the permalink.